The crew at Squaw Valley Alpine Meadows work during the morning of Thursday, Nov. 16, in preparation for the resort's opening day on Friday, Nov. 17. *This article was corrected on Nov. 22. 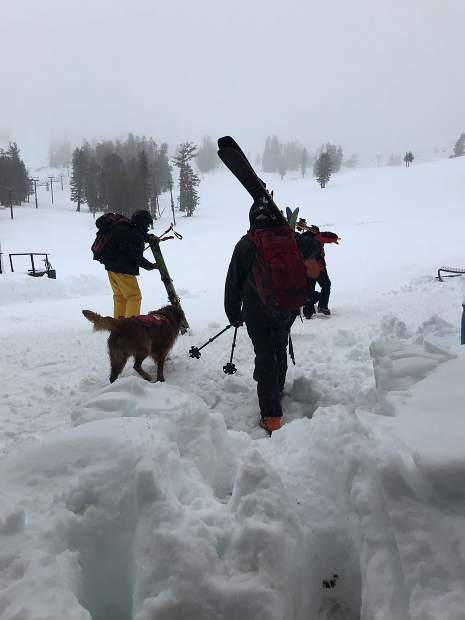 The original story stated night skiing would be available at Heavenly Mountain Resort, but according to information from Heavenly, those plans have since been canceled, and there will be no night skiing at Heavenly this season.